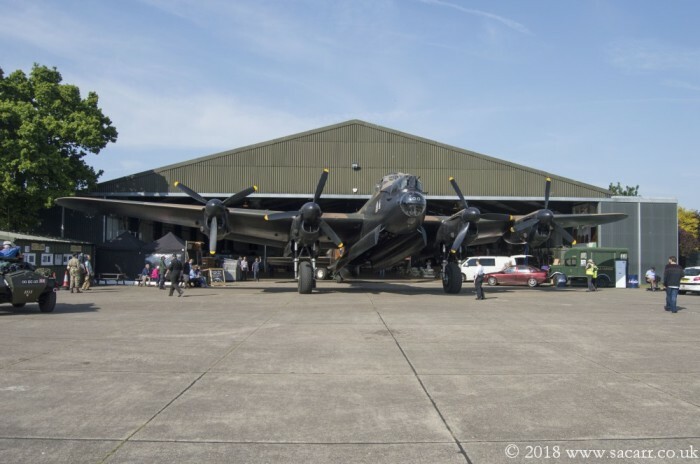 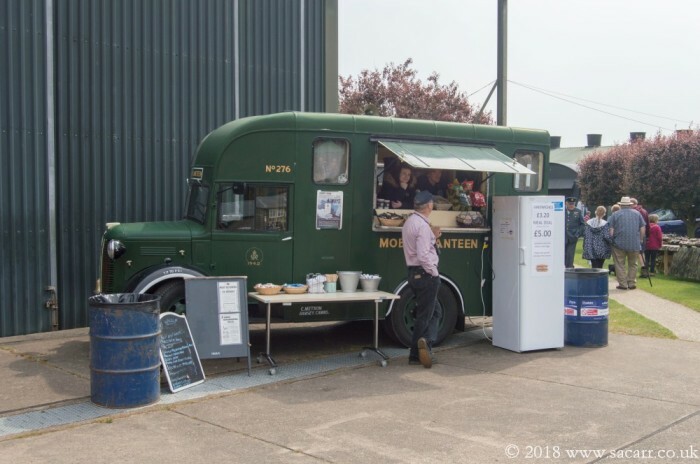 This was my second visit to East Kirkby, but my first to this event. 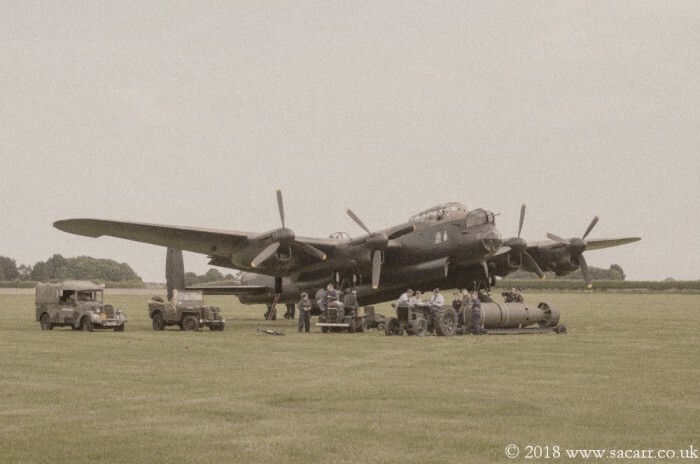 My last trip there was four years ago for the three Lancasters event. 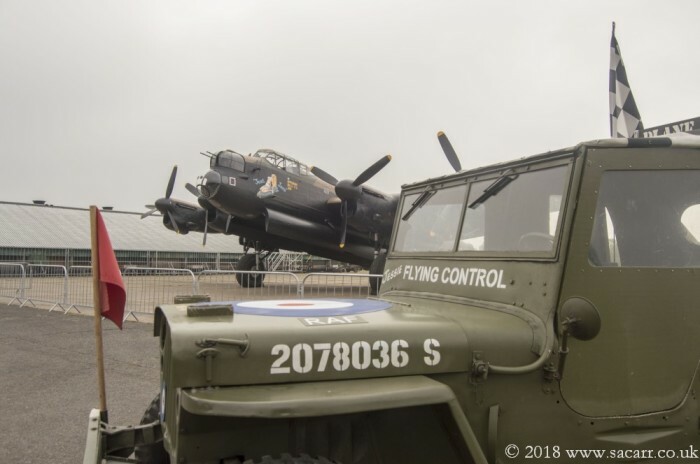 The forecast was for good weather, despite a five and a half hour trip there through heavy rain! 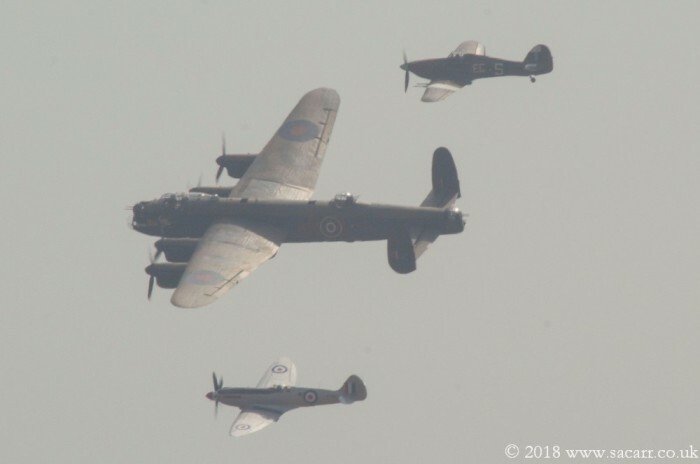 On the first day there was a thin overcast and a stiff breeze which pulled the temperature down, but the sun still burned without realising. 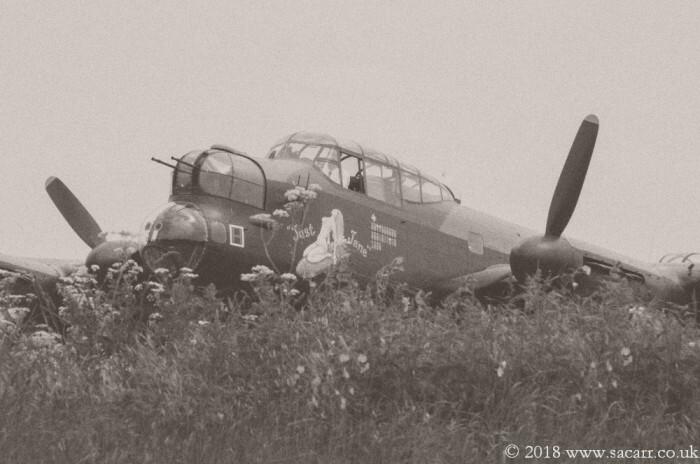 "Jessie" was parked up in a nice spot in front of the tower, and not having any display to watch over, allowed me to wander freely and see all that was going on. 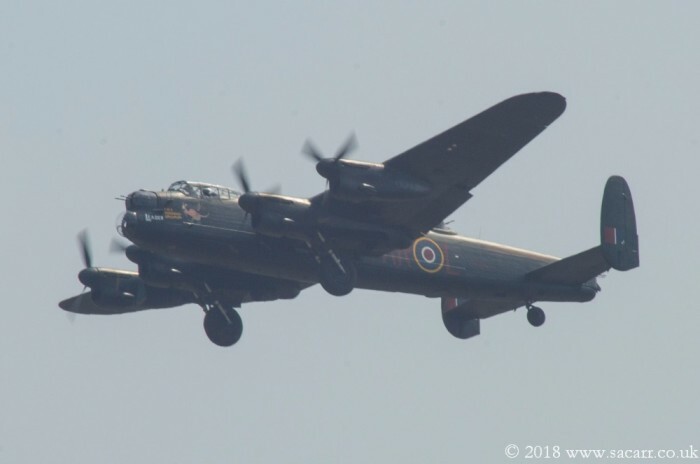 Lancaster "Just Jane" made several taxi runs across the day, and the Battle of Britain Flight sent a Spitfire to give a few flypasts. 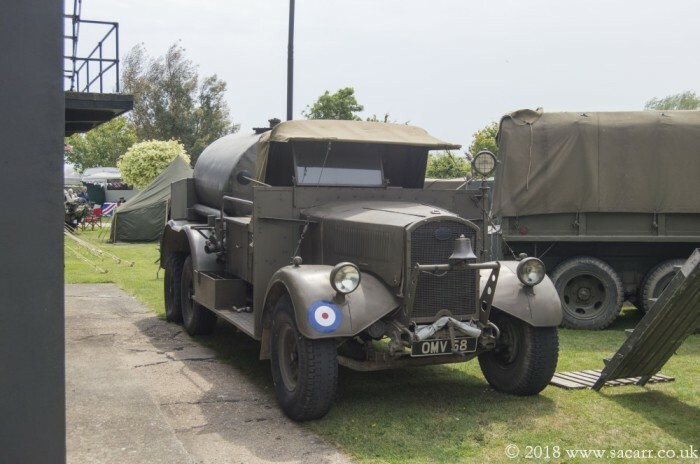 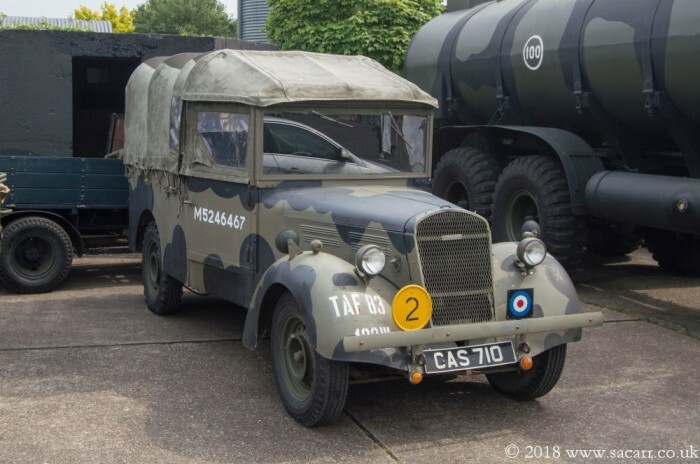 In addition to "Jessie", there were a good number of other RAF vehicles on show around the site. 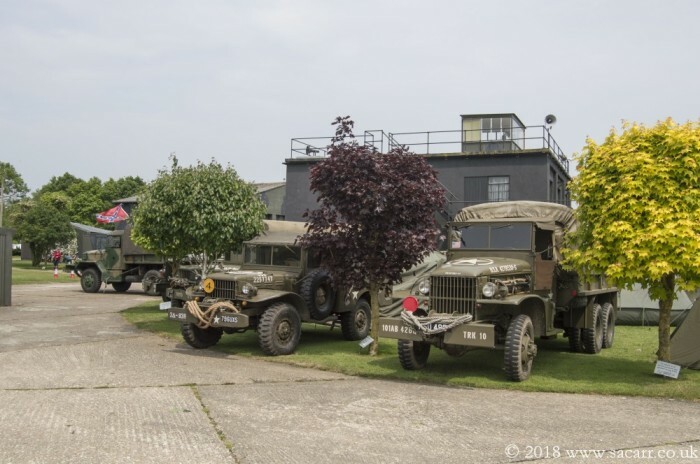 In addition to Lancaster "Just Jane", the resident C-47 Skytrain was out on the airfield too. 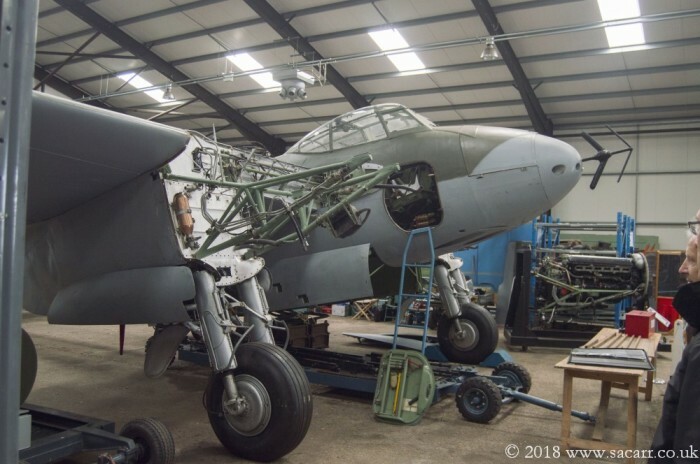 The recently arrived Mosquito, formerly at Elvington, was in the hangar, minus its engines. 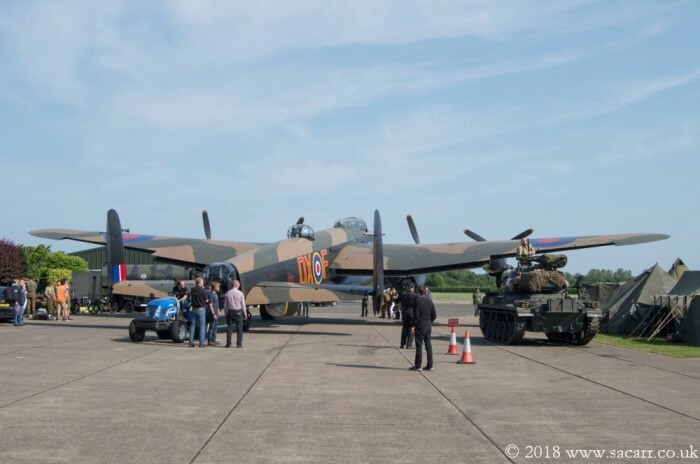 At one point during the day, a number of RAF vehicles and re-enactors set up in front of the Lancaster for a photoshoot. 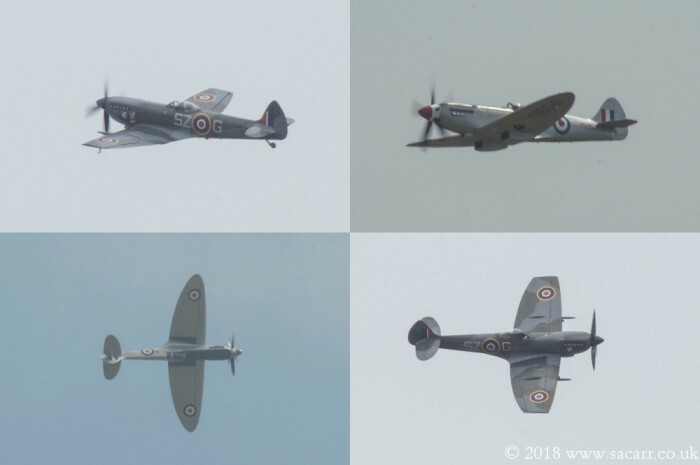 The Battle of Britain Memorial Flight only gave a Spitfire flypast on Saturday, but returned in strength on Monday for a full display by the Lanc, Hurricane and a different Spitfire. 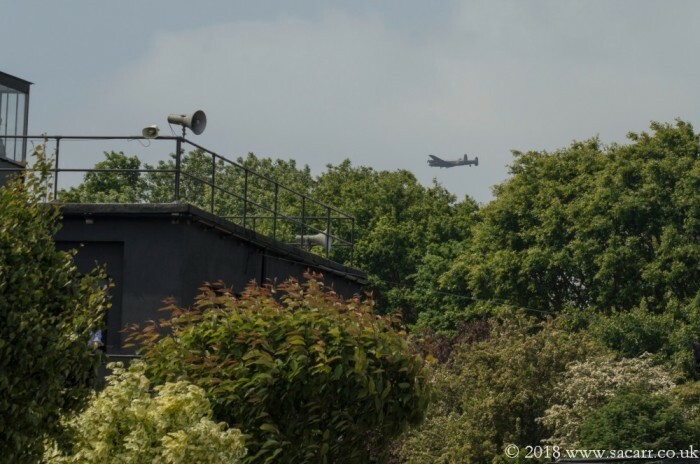 The sky was quite hazy and didn't make for good photographs. 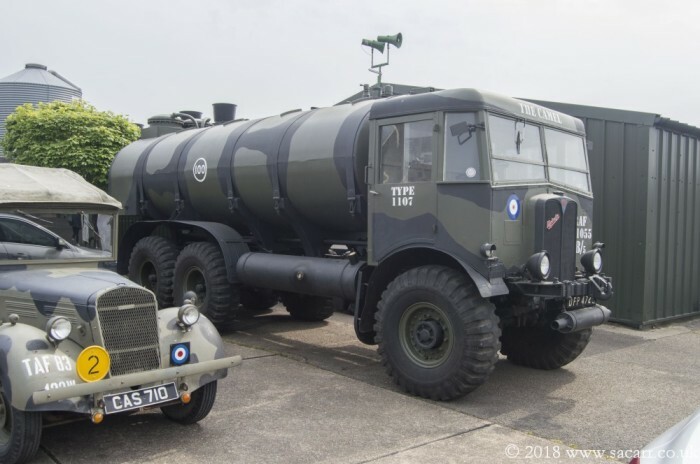 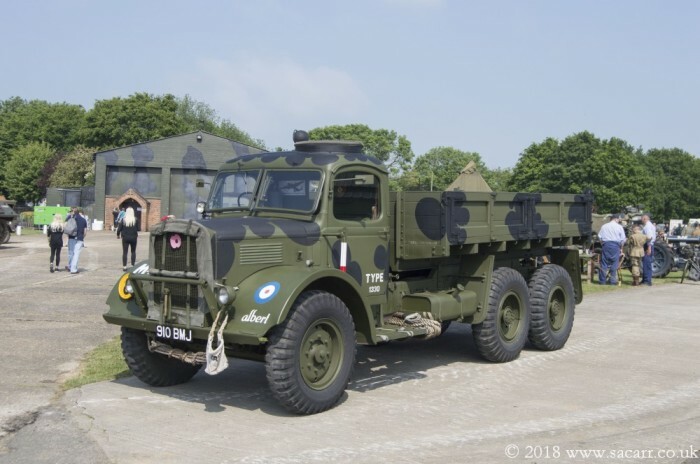 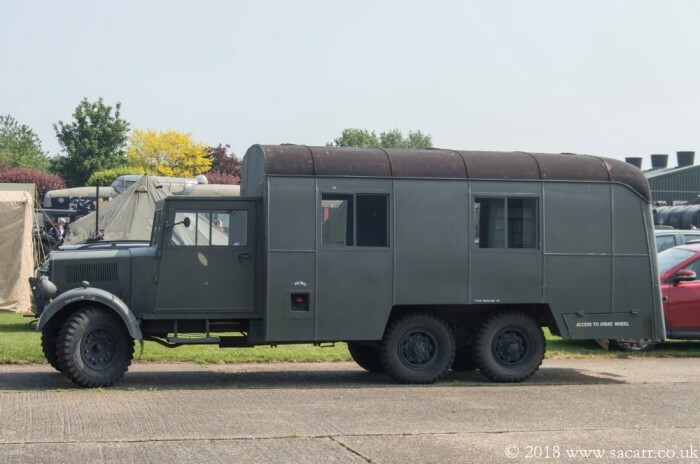 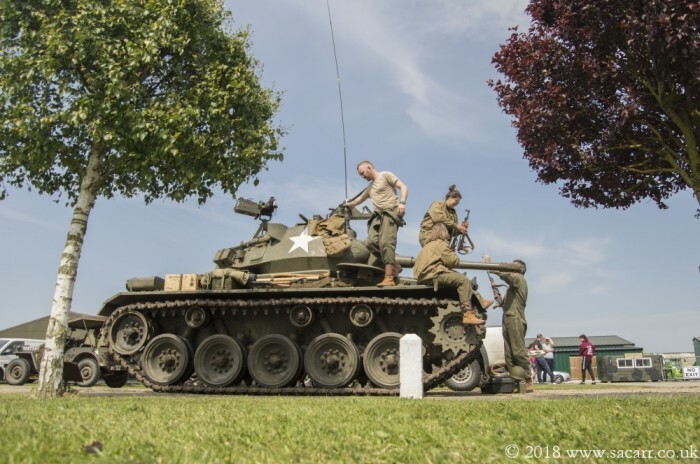 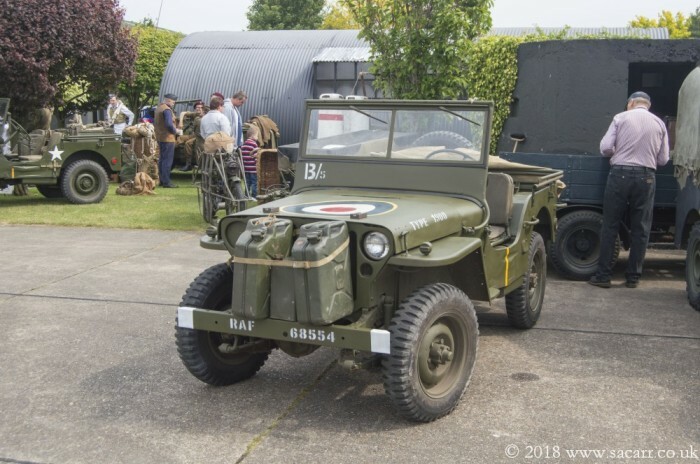 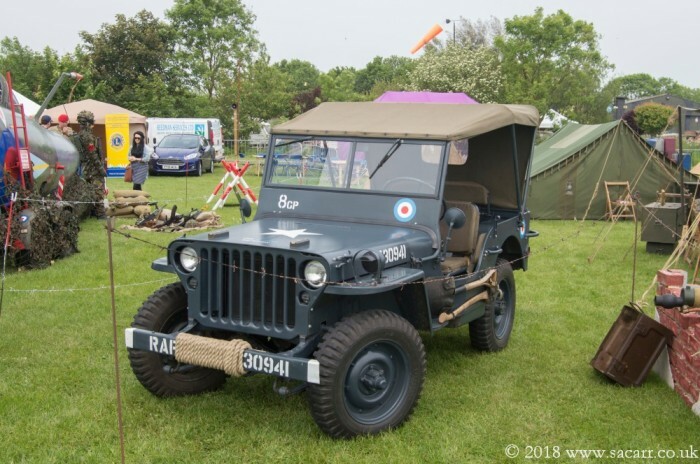 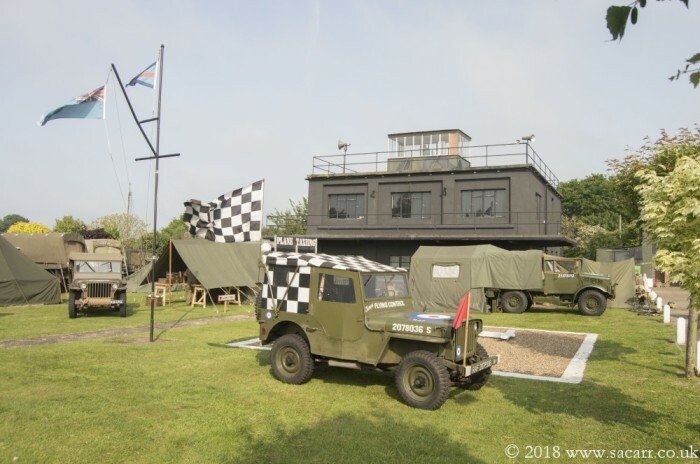 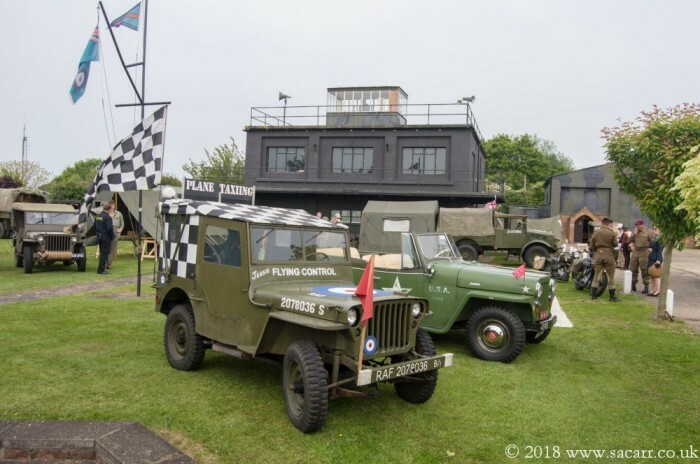 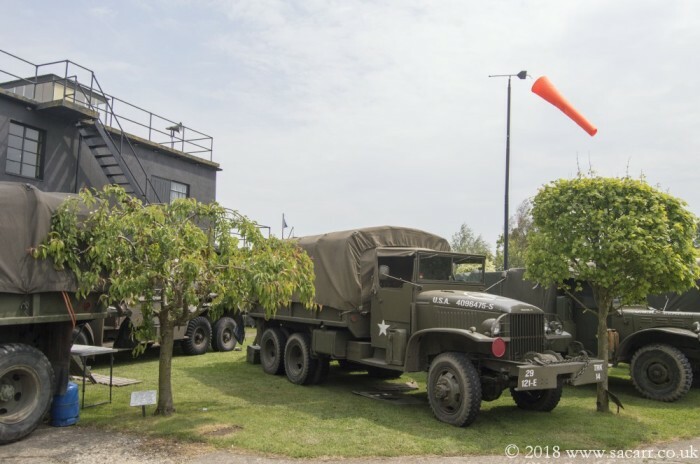 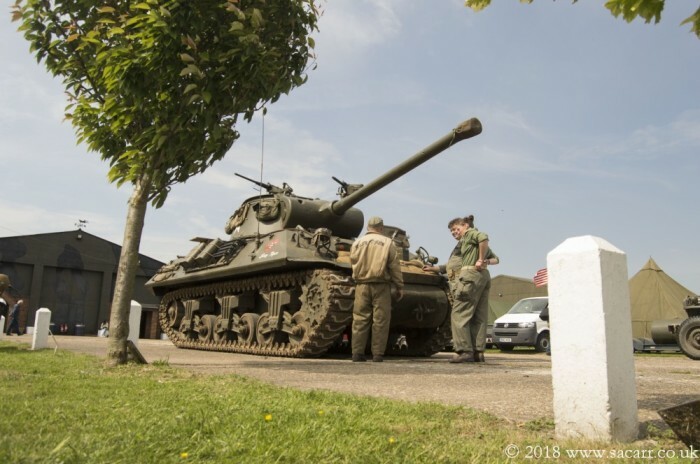 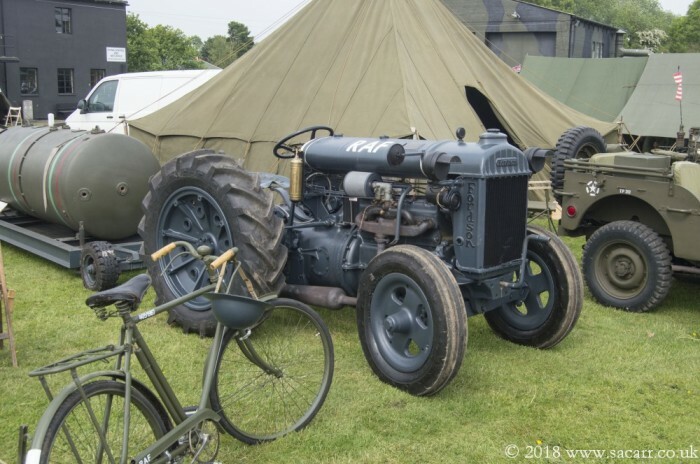 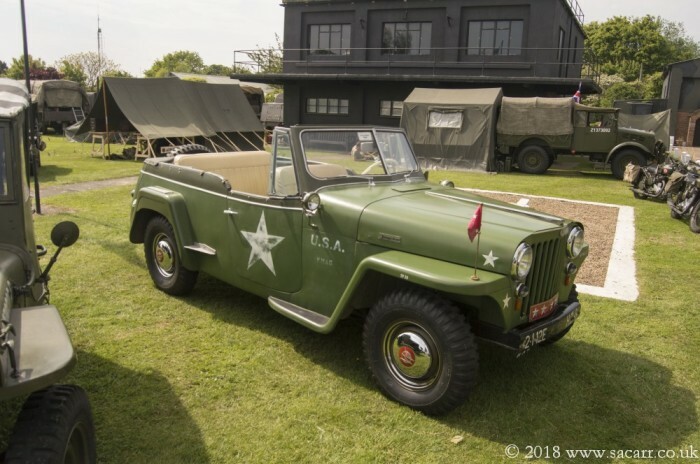 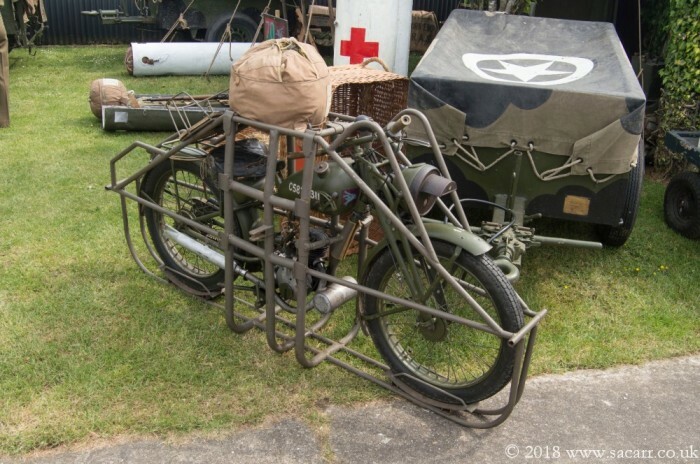 There were a large variety of military vehicles on show, mainly World War 2 era, but there were several more modern vehicles there too. 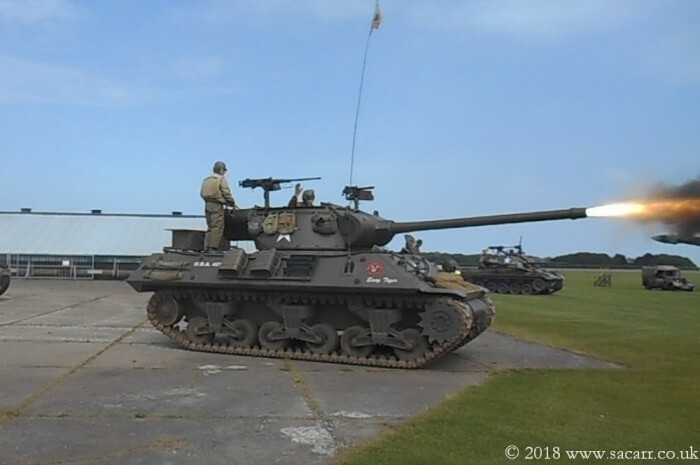 There was armour there too, two M24 Chaffees and an M36 Jackson tank destroyer. 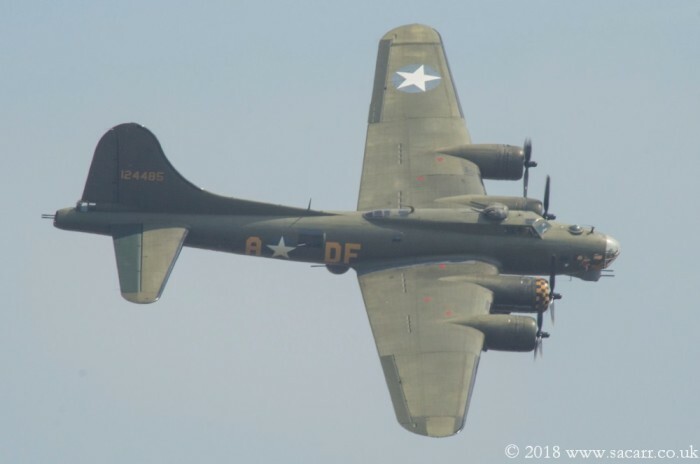 Around fifteen minutes after the BBMF display on Monday, B-17 Preservation brought B-17 "Sally B" over the field for their ten minute display. 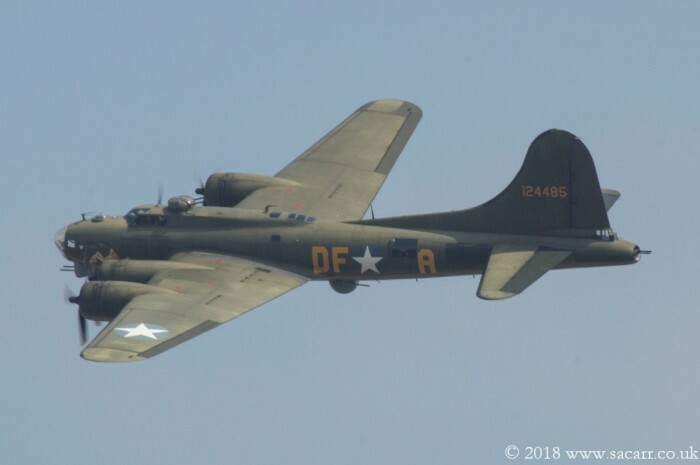 The sky quality appeared to improve for the B-17, and the display quality was far better too. 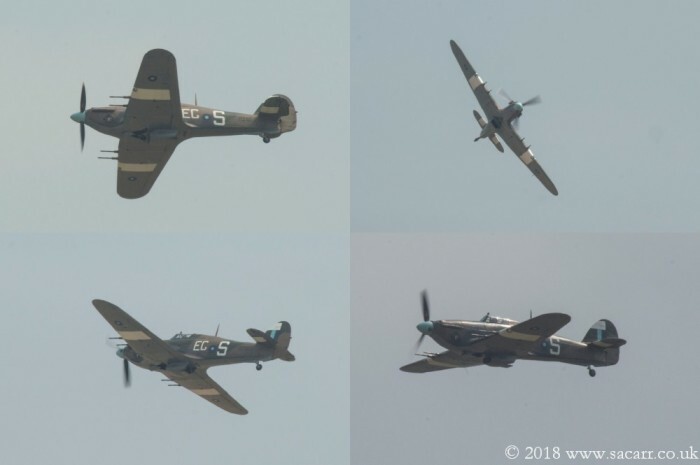 The BBMF, even after so many years on the display circuit, seem incapable of showing the top side of their aircraft. 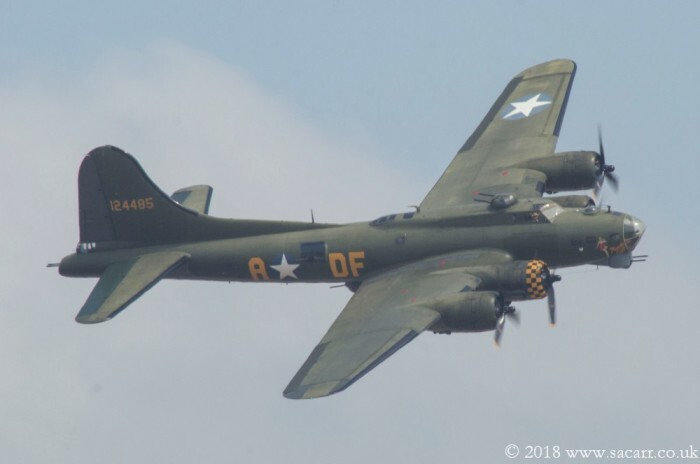 The only exceptions are at the far side of an orbit at some distance in front of the crowd, or during a roll, when the top is in shadow. 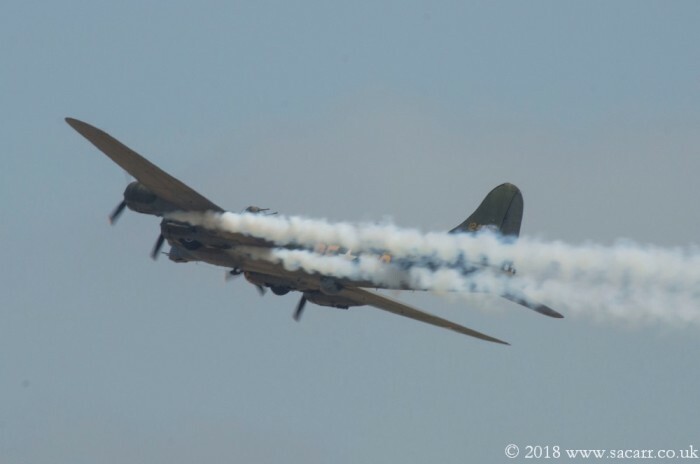 B-17 Preservation pilots have always shown "Sally B" from all angles, and don't need to pull high G manoeuvres to do it. 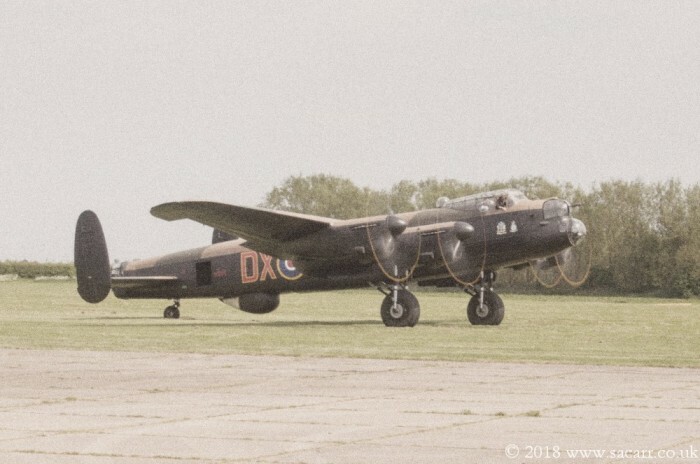 Monday was a bit more calm and had clearer sky, giving good light for pictures. 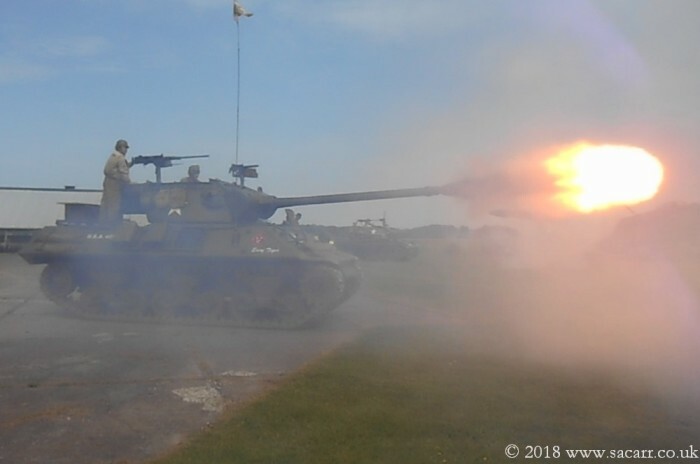 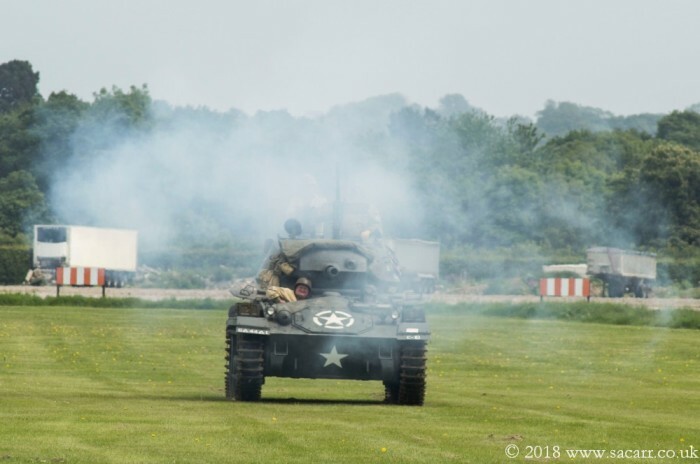 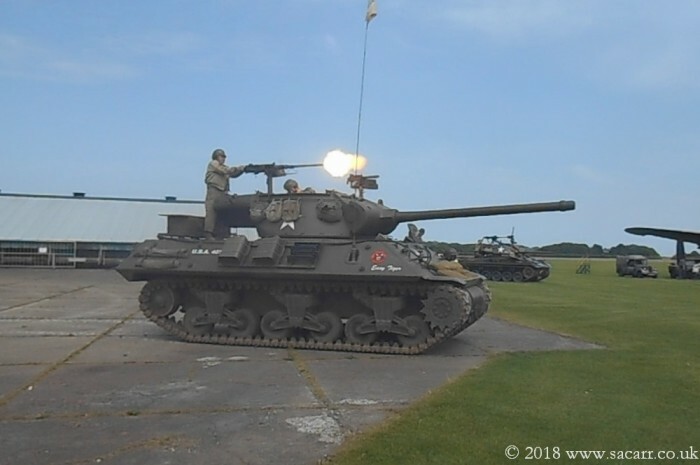 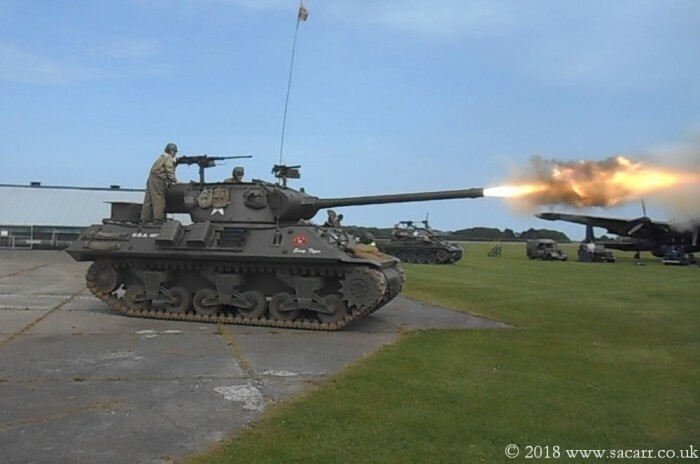 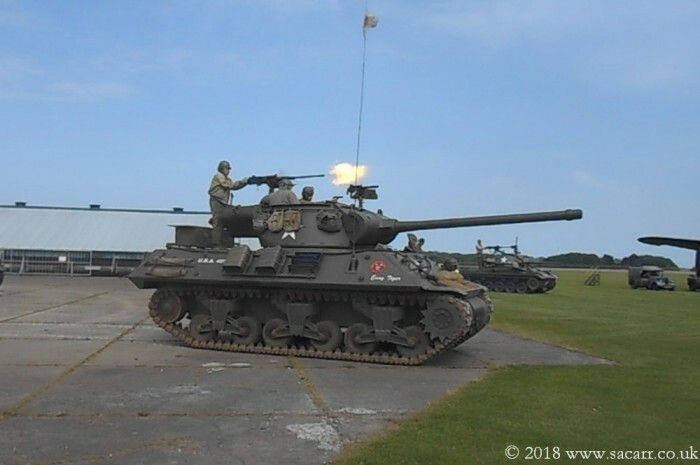 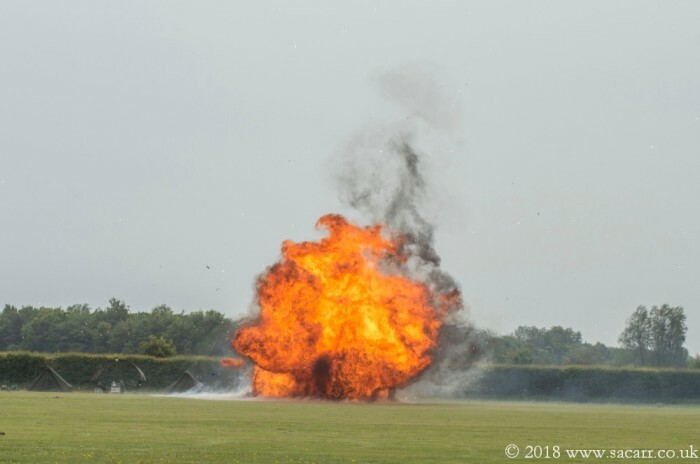 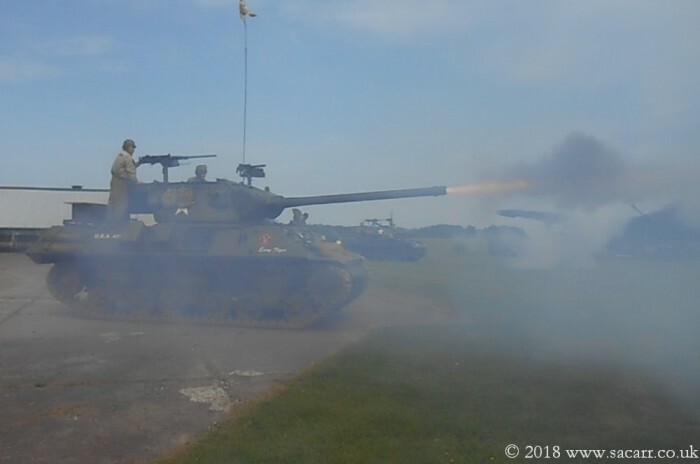 The tank battle from Saturday was repeated again, and using video to capture the action, I was able to lift still images of the Jackson firing, catching the muzzle flash. 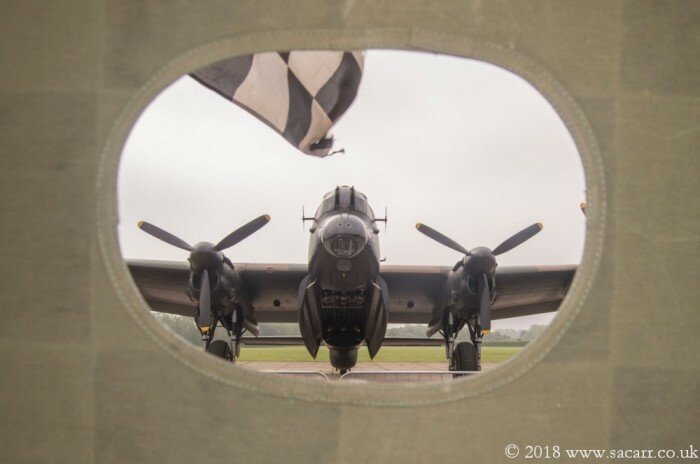 Lancaster "Just Jane" moved around the airfield several times each day, giving plenty of opportunities for photographs. 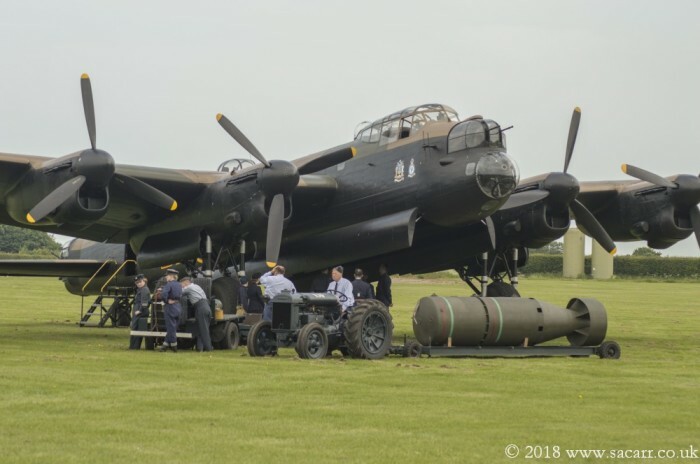 However, it was during an early morning toilet trip with my daughter that we saw the Lanc being towed out of the hangar. 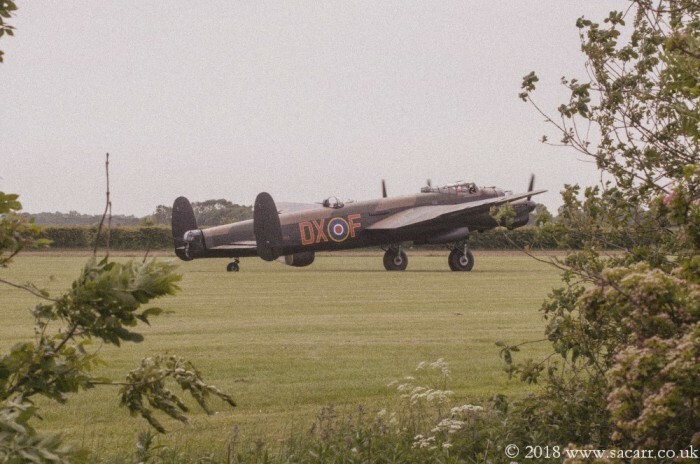 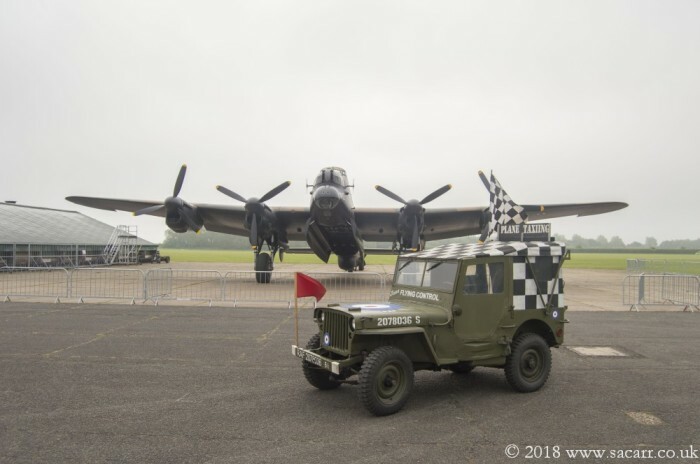 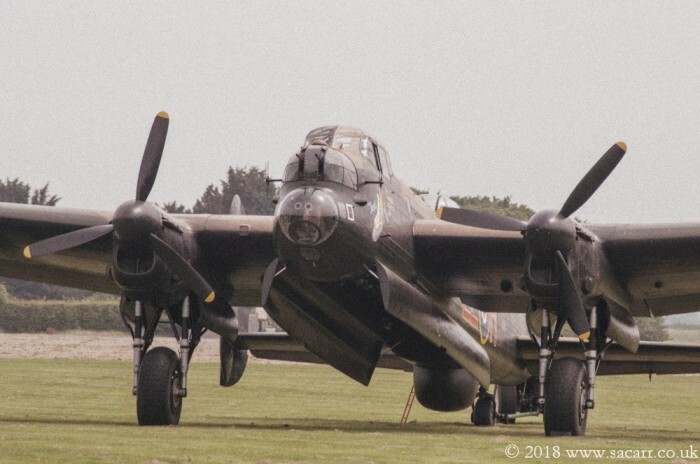 After waiting to see if the Lanc was left on the hardstand rather than the grass, we rushed back to the tent, and brought "Jessie" over for a quick photoshoot. 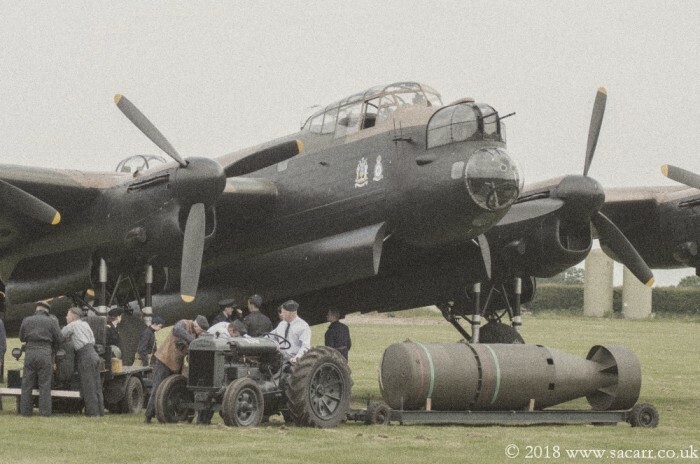 That made the third Lanc photoshoot with "Jessie"; the other two being the Canadian and BBMF Lancs.